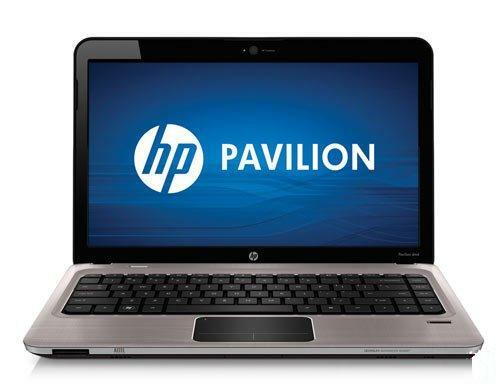 In this guide, the actual laptop is HP Pavilion DM4. 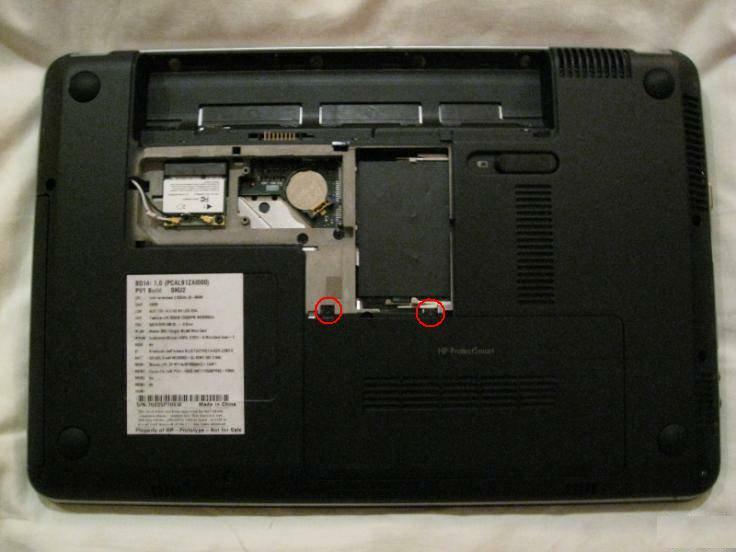 The DM4-1000 series and DV5-2000 series laptop should be similar. 1. 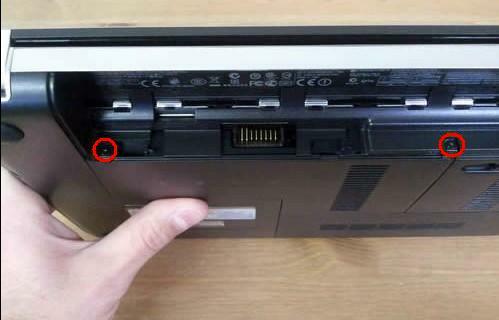 Turn off your HP Pavilion DM4, disconnect the power adapter and remove the battery. 2. Remove 2 screws securing the memory bay cover, then remove the memory bay cover. 3. 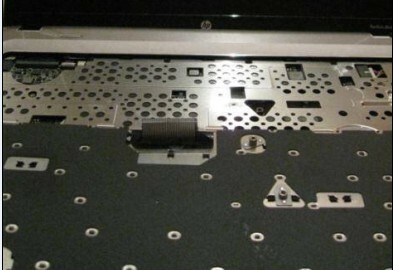 Remove 2 screws securing the hard driver cover, then remove the hard driver cover. 4. 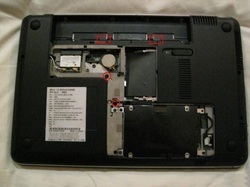 Remove the two screws as shown, they secure the HP Pavilion DM4 keyboard. 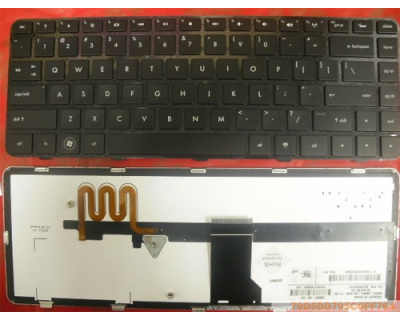 Use a flat-bladed screwdriver or similar tool to release the two keyboard tabs in the red rectangles (It can't see on this picture, but is at these postions) . 5. Now, turn the laptop rightside up and open it up. 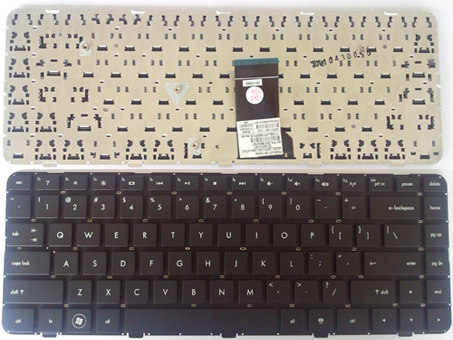 Pull the keyboard frame upward and set the keyboard on its face to gain access to the keyboard lockdown cable. Unlock the keyboard cable. To do this, lift up on the hinged lockdown clip approx. 90 degrees. 6. Now, just slide out the keyboard cable and install you new HP Pavilion DM4 keyboard. 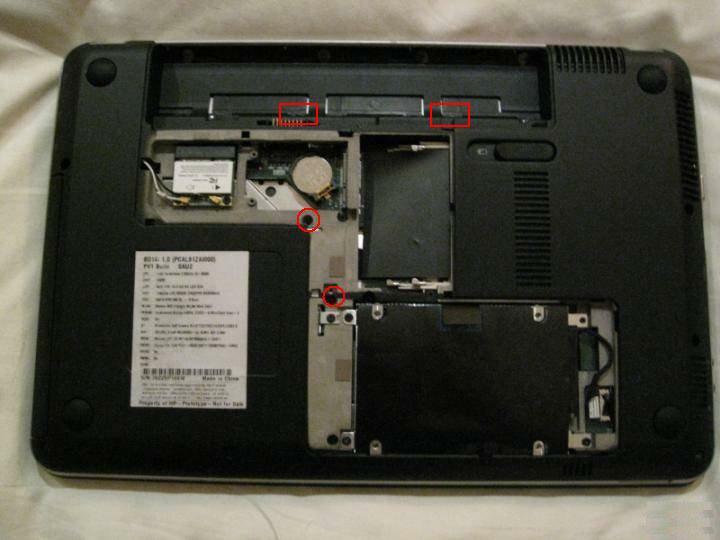 Notice, some of HP Pavilion DM4 keyboards is with backlit, if so, you need to unplug the backlit cable before you remove the keyboard. 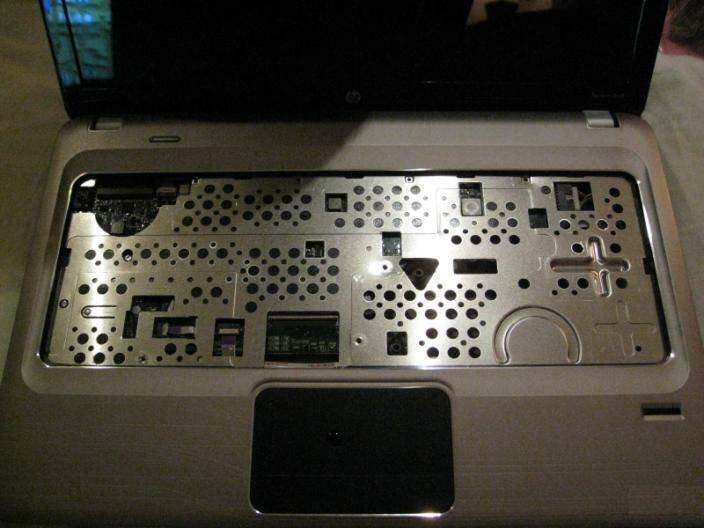 Remark: The keyboard doesn't fit HP pavilion DV5-1000 laptops.